John Thompson challenged me to look at other public sector unions, after accusing me of singling out teachers unions for political purposes. In this watchdog.org article, the author demonstrates that over 250,000 public sector workers had their agency fee dues forcibly taken from their paychecks. Public-sector unions took forced dues from more than 250,000 public employees in 2013, some, but not all, of the labor unions that take mandatory “agency fees” from public employees must report the number of agency fee payers to the U.S. Department of Labor each year. American Federation of State, County and Municipal Employees had 130,920 agency fee payers in 2013 while National Education Association had 88,378. Service Employees International Union reported 243,799 agency fee payers. Many of the employees represented by SEIU work in the private sector. DOL defines agency fee payers as “those who make payments in lieu of dues to the reporting labor organization as a condition of employment under a union security provision in a collective bargaining agreement.” Public-sector unions can impose agency fees in 23 states. “Unions were first developed years ago to protect workers but too often, in today’s world, they exist solely for one thing and one thing only — raw, crass political power,” Brett Healy, president of the Wisconsin-based MacIver Institute, told Watchdog.org via email. “Big Labor bosses are more worried about supplying politicians with donations than the wellbeing of the rank-n-file or what is best for the rest of us — the taxpayers. 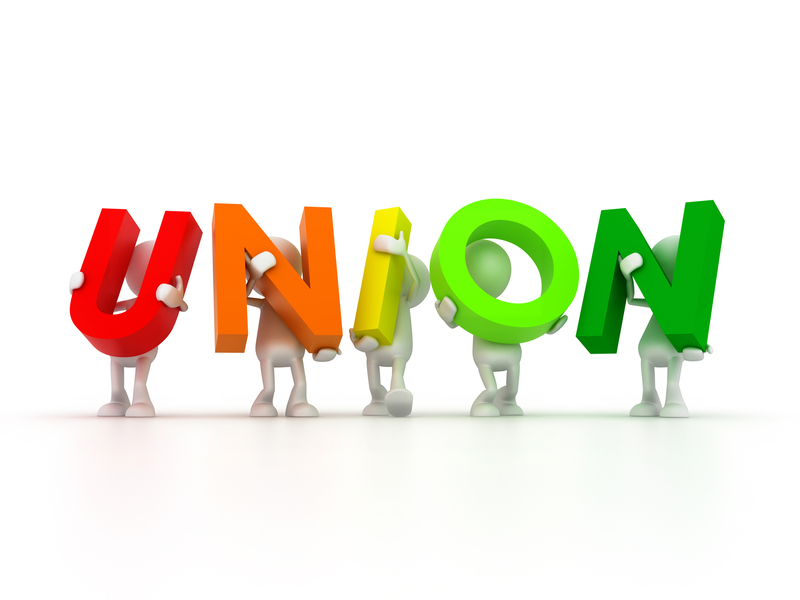 Remember, Unions first constituent is the employee, not students, or patients, or tax payers – but to the employee. It’s about self preservation – even if the unions agreed that they were outdated and perhaps unnecessary, who is going to give up a position of power (with taxpayer money) or the 600 employees with 6 figure salaries? Determining the total number of agency fee payers nationwide is difficult because certain public-sector unions — including those with less than $250,000 in revenue — are exempt from many DOL reporting requirements. Additionally, American Federation of Teachers and other large unions representing government workers do not report a total number of agency fee payers because of the way workers’ money flows to each union’s headquarters through state and local chapters. Hmmm, might this have anything to do with the fact that the agency fee is the same for members and non members? Bet it gets more confusing when the lump sum is transferred from school district to union – the accounting must get lost in translation. And is NEA can report agency fee payers, AFT can’t figure it out. “Why should one be forced to hand over their hard-earned money to a political organization they may not agree with? We live in the land of the free not the land of forced association,” Healy said. Yes, just let them write the check themselves in a voluntary manner. Then unions can demonstrate their value and listen to more of their public employees when making policy decisions. With auto-deduction of member and agency fee payers – there is little incentive to work harder to listen to employees. The article also has an extensive list of various states public unions and their number of agency fee payers for 2013.